The National Honor Society in History, Phi Alpha Theta, was established at the University of Arkansas on March 17, 1921 by Nels Andrew N. Cleven. Nels Andrew Nelson Cleven was born on December 21, 1874 in Lake Mills, Iowa. 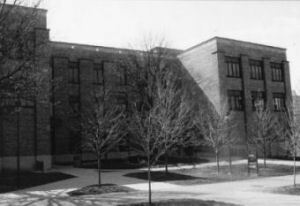 He began his teaching career in public schools in 1894 before receiving two bachelor's degrees (PhB and EdB) from the University of Chicago in 1906. Nels Andrew Nelson Cleven earned his PhD from the university of Munich in 1913, and taught at San Diego High School and Junior College until 1918. 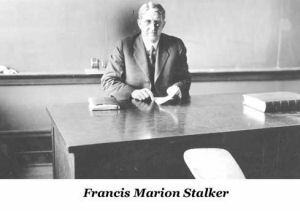 From 1918 to19 he worked as a research assistant for the War Trade Board's Bureau of Research and Statistics in Washington, D.C. In September 1919 Dr. Cleven moved to Fayetteville after accepting an assistant professorship from Dr. David Yancey Thomas, Head of the Department of History and Political Science at the University of Arkansas. Dr. Cleven and his wife Hilma soon found Fayetteville and this unique region of the Ozarks to their liking. They frequently chaperoned the social activities of campus fraternities and sororities, organizations for which Dr. Cleven previously had little regard. These gatherings would inspire what he termed "the Phi Alpha Theta idea." The possibility of "diffusing information through socialized avenues," he wrote later, "was due to the kindly cooperation of my students in Arkansas." He came to regard fraternities as "an essential spirit of the age...searchers all for Truth in History." Such societies were crucial because "the human side of scholarship needs to be nurtured and thought made articulate." Despite the national proliferation of social and professional fraternities during this period, he discovered there were no societies in History, a deficiency he was determined to remedy. In his mind he envisioned a secret fraternity, open to women as well as men, which would embrace the "entire History of Mankind." By chance, a painting depicting ancient Assyria and featuring a six-pointed Star of Divinity hung on the wall of his classroom. The star became the central symbol for the History fraternity. On March 14, 1921 Dr. Cleven presided over a meeting in his classroom with a group of History students. 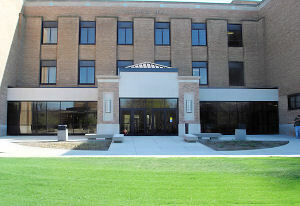 Those present voted to create the University Historical Society. Officers were elected and Constitutional, Program and Membership committees were appointed. Even though Dr. Cleven regarded this meeting as the anniversary date for the founding of Phi Alpha Theta, it was not until a month later that the name Phi Alpha Theta was formally adopted. Since its inauguration, Phi Alpha Theta has grown to more than eight hundred thirty-nine chapters in fifty states, more than any other accredited four-year college honor society. The total number of initiates since its inception is more than 281,000. As part of its commitment to academic excellence, Phi Alpha Theta continues to participate actively, through its Executive Director and President, in the Association of College Honor Societies. Phi Alpha Theta enjoys the distinction of being one of three original departmental honor societies with membership in the ACHS. In 1996 Phi Alpha Theta received recognition as a non-profit 501(c)(3) organization. Contributions to our Society are now tax-deductible as allowed by law. The Upsilon Iota chapter of Phi Alpha Theta was established at Indiana State University on May 2, 1973. Charter members included Quentin Bone, Gale E. Christianson, Gary Daily, Eleanor R. Fletcher, Thomas M. Hill, Raymond R. Kepner, Paulette G. Kontos, Frank A. Lojewski, Herbert J. Rissler, Jill R. Trout, Susan E. Buckl, Stephen L. Cox, Joseph Farri, William Giffin, Nancy B. Jones, Alvy L. King, Jacob A. Lieberman, Richard V. Pierard, Donald B. Scheik, and James A. Wagner. Since that time, the organization has pursued various historical enterprises on campus and the community, particularly in raising awareness of Terre Haute's rich history. Chandra de Silva, Antoinette Burton, Christopher Olsen, and Steven Stofferahn have all served as Faculty Advisors.